WESTON, W.Va. – Here is a little something for all you land owners, farmers, small business owners, and tax payers to think about. If you own a bit of land for a hay meadow, you will be assessed and pay property taxes on your hay meadow. If you buy a tractor and some equipment so you can harvest your hay, you will be assessed and pay property taxes on your tractor and equipment. If you build a barn in which to keep your hay and your farm equipment out of the weather, you will be assessed and pay property taxes on your barn. If you buy a cow to eat your hay and maybe give you a calf to sell, you will be assessed and pay property taxes on your cow. Other small businesses are in much the same situation. You pay property taxes on your business property, buildings, equipment, and inventory. If, on the other hand, you are a huge corporation and you build a multimillion dollar piece of profitable infrastructure, like Momentum and Stonewall Gas Gathering LLC and their newly constructed pipeline, you will not be assessed and will not pay a penny of local property taxes on your pipeline. Nothing. Even worse, the land under which that multimillion dollar pipeline lies has been forever rendered unproductive. Nobody will ever be able to build a house on that land, build a barn, build a farm pond, drill a water well, grow an orchard, grow timber, cut an access road to the other side of your farm, or make any improvements that might interfere with the pipeline company. For every mile of pipeline right of way that Stonewall Gas Gathering has, they have permanently destroyed the utility and value of about 10 acres of land, which will ultimately show up as decreased property value and decreased tax revenue for the county. If you do not think the property value has declined on that land, survey off an acre of that right of way, put it up for sale and see what the market value is now. Does that seem fair to you? Speak with your elected representatives and candidates and demand that this outrageous subsidy and entitlement be eliminated. Tom and Becky Berlin are farmers in Weston, W.Va.
BRIDGEPORT, W.Va. – While the fossil fuel extraction industry has dominated West Virginia’s political system, economy and communities since it became a state in 1863, the assault upon public health, the environment and property rights in 2015 by corporations and the Mountain State’s legislature was historic. Not since United States senators were appointed by legislatures, in the days when corporate robber barons owned the coal fields, the railroads and the politicians, and efforts to unionize coal miners were met with government-sanctioned violence, has there been such a blitzkrieg of shenanigans and skullduggery unleashed upon the state’s citizens. Yet, the people have responded energetically. Easily outgunned by corporations, outspent by PACs, and surrounded by apathetic neighbors possessing a sense of inevitability that the energy industry will have its way in West Virginia, many citizens and groups have fought the attack vigorously and widely. The events of 2015 affecting the ecology of West Virginia is about far more than policy, it is about people – about those people making a difference, whether for well or ill. While corporate interests and most of the state’s mainstream media promote a continued reliance upon what is essentially a bust-and-boom economy, more and more voices standing in opposition to the status quo are being heard. With solid evidence of harm to public health, damage to the environment and abuse of eminent domain from the industry – particularly through fracking and mountaintop removal – more people are joining forces to hold government, industry and even the church accountable. These stories are not necessarily listed in chronological order and are not offered as a ranking of importance. Instead, it is an attempt to assess the whole year much as one would look at a quilt after it has been completed. The gold-domed state capitol along the Kanawha River in Charleston is known as “The People’s Capitol” because of its openness to the people. While that is changing physically this year as security officials add metal detectors and other security steps, the event that really denied the people access to their government was the takeover of the legislature by the Republican Party. Not that the GOP has a patent on arrogance. The Democrats had grown entirely too comfortable after more than 80 years of control. Their arrogance was on display for all to see. All one had to do was visit the offices of the legislators before the GOP takeover. The Democrats had the largest offices and those in special authority – such as the speaker – had not only their titles but names affixed to the doors. As I walked through the capitol on a snowy February day in 2014 just a few weeks after the Elk River spill, I was pleased with how many legislators made themselves accessible; more than a few seemed genuinely interested in serving the people. However, the display of arrogance on the office doors by the party’s leadership was disturbing. It was clear proof that the lure of power had seduced them to promote themselves, not serve the people. So, in a sense, the Democrats got what they deserved in November 2014. Unfortunately, beginning in January 2015, so did the people of West Virginia. Why people vote against their own interests is beyond my comprehension. For instance, coal miners voted for the very people who protect men like Massey Energy’s Donald Blankenship (more about him later) and are doing all they can to destroy the United Mine Workers (UMW). Additionally, the GOP is pushing for “Forced Pooling” legislation that would rob landowners of their most basic rights. That issue died in the legislature on a tie vote in committee last year and is a legislative priority for the GOP this year when the West Virginia legislature convenes on Jan. 13. Forced pooling allows the gas industry to force landowners to allow gas companies to access the gas under their land even if the landowner doesn’t agree to it so long as a certain percentage of their neighbors have agreed to sell. And, despite the devastation done by the Elk River spill in 2014, the Republican-led legislature rolled back vital provisions of the West Virginia Storage Tank Law. This led to weakened oversite, restrictions on public access to hazardous chemical information, and loopholes which severely undermine the stated intent of the law. (Read the full story here). In West Virginia, approximately three out of four people identify themselves as Protestant; only seven percent are Catholic. As with political parties, these two major Christian sects hold quite disparate views on ecological issues; indeed, within each denomination, congregation and parish, one can find division about what the faith teaches regarding environmental stewardship. Evangelicals and fundamentalists generally hold a “dominion” theory of stewardship. It is not only reflected in sermons, but is referenced by energy industry officials as justification for their attacks upon public health and the environment. Indeed, a leading energy industry executive shared that view here in Bridgeport in March. Executive Director Corky DeMarco of the West Virginia Oil and Natural Gas Association said, “God didn’t want us to be farmers, or this place would look like Kansas. God put us here in these mountains that are 450 million years old with the best coal in the world and the most natural gas in the world. And we have a responsibility, and I think companies like Dominion and others have seized on the opportunities that these mountains have provided and will continue to do this.” (Read the full story here). Catholics, however, have become accustomed to their clergy – in particular the bishop – to be a prophetic voice for the land and its people. Indeed, the West Virginia-based Catholic Committee of Appalachia (CCA) has published two pastoral letters by the Catholic bishops of Appalachia – “This Land is Home to Me” in 1975 and “At Home in the Web of Life” in 1995. Both of these letters were signed by the Roman Catholic bishops of the region. So, for the last 40 years, the Catholic laity has become accustomed to its leaders standing up for the poor. Not in 2015 though. Instead, the CCA felt compelled to challenge West Virginia Bishop Michael Bransfield – as well as other Appalachian Catholic bishops – for not supporting the pope strongly enough when the Vatican released the pope’s ecological encyclical in the spring. (Read more here and here). Indeed, in December, the CCA published what it characterized as a people’s pastoral. It explained, “For this third letter, called a ‘People’s Pastoral,’ the planning team did not seek the signatures of the region’s bishops, but rather sought to lift up the authority of the people, their stories, and earth itself as an expression of the Roman Catholic Church’s teaching of the ‘preferential option for the poor.’” (Read more here). In short, while the church leadership has abandoned its prophetic voice in support of the people they are called to serve, the people in the parishes and congregations are filling the void. In addition to the CCA pastoral, several other examples demonstrate this. In April, during the week of Earth Day, North Carolina-based St. Luke’s United Methodist Church joined with the West Virginia chapter of the Sierra Club and West Virginia Interfaith Power & Light to hold a two-day conference at the Catholic-owned St. John’s XXIII Pastoral Center in Charleston. The conference included people from various faith traditions, scientists, educators, preservationists, educators, artists and others. The theme of the conference, “Preserving Sacred Appalachia,” was organized out of a faith-based view of environmental stewardship, but was intentionally designed to welcome people from all walks of faith and life. (Read more here). That same week, Shepherdstown Presbyterian Church was a first-place winner of Interfaith Power & Light’s annual Cool Congregations Challenge. The church earned its award for being the top renewable role model in the nation for, among other reasons, having the largest community-supported solar system in West Virginia. (Read more here). In August, at its annual gathering, the West Virginia Sierra Club chapter considered how it, as a secular group, could apply the ecological encyclical by Pope Francis to its preservation efforts in West Virginia. That gathering led to the writing of this article. While the church, as an institution, was offering mixed messages on environmental stewardship, the state’s primary agency charged with protecting the environment for the people of West Virginia was sending a clear message – it is, at best, mediocre. In fact, its acronym – DEP – is referred to sarcastically as the “Department of Everything Permitted” by public health experts and environmentalists. In 2015, it was unresponsive to citizens expressing concerns about the health impacts of mountaintop removal. (Read more here), and its leader was unprepared for and even hostile to questions about the most basic of safety considerations regarding the impact of the energy extraction industry. (Read more here). Among the most egregious attacks upon the people of West Virginia was the misuse of eminent domain by the energy extraction industry. This is not surprising though, as without approval from the Federal Energy Regulatory Commission (FERC) to build the Atlantic Coast Pipeline (ACP), Mountain Valley Pipeline (MVP) and others in the future to extract gas from the shale fields of northern West Virginia, the industry will not be allowed to use eminent domain to seize the land of private landowners. Without that weapon, the energy industry is facing billions of dollars of losses already invested in what the industry obviously considered a slam dunk. In March, Pittsburgh-based energy company EQT sent out letters to landowners threatening legal action if they did not allow EQT access to their property for surveys. The company’s lawyers argued that the pipeline would serve the interests of West Virginians, so eminent domain should apply. (Read more here and here). Opponents saw it differently and won in court – for now. (Read more here). Whatever one’s political outlook, it is generally agreed that a basic function of government is to guard the public’s health. This is part of its mission to “…promote the general Welfare…” as stated in the Preamble of the United States Constitution. Again though, even fulfilling this most basic responsibility of government seems beyond West Virginia’s capability – or willingness. As already noted above, West Virginia DEP Secretary Randy Huffman out-of-hand rejected the Precautionary Principle as a reasonable, scientific method of protecting the environment and public health. This, despite clear evidence from health experts about the dangers of fracking and mountaintop removal (read here and here). The facts are supported by personal stories of destroyed lives from the extraction industry. (Read more here). Those attempting to stop the environmental degradation caused by fracking and its related infrastructure got a good taste of what they will face should the Atlantic Coast and Mountain Valley pipelines receive FERC approval. Because those proposed pipelines would cross state lines, FERC approval is required. 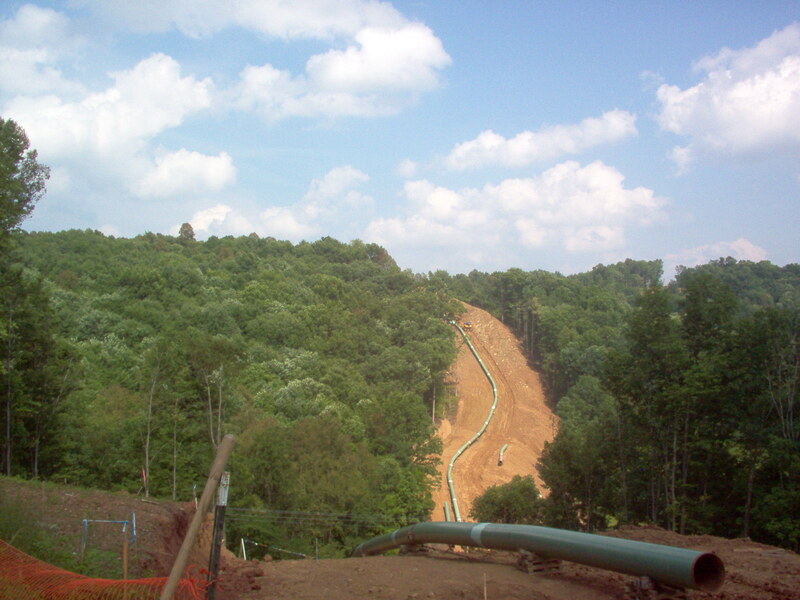 However, beginning in the spring and going well into the winter, another pipeline – the Stonewall Gas Gathering (SGG) pipeline – was constructed, traversing only about 56 miles of West Virginia. Hence, as an intrastate pipeline, FERC approval for it was not required. The SGG was built by Stonewall Gas Gathering, LLC, which was incorporated in Delaware on June 4, 2014. SGG is a subsidiary of Momentum (officially M3Midstream), based in Texas and Colorado. The Stonewall Gathering line is part of Momentum’s Appalachian Gathering System (AGS). 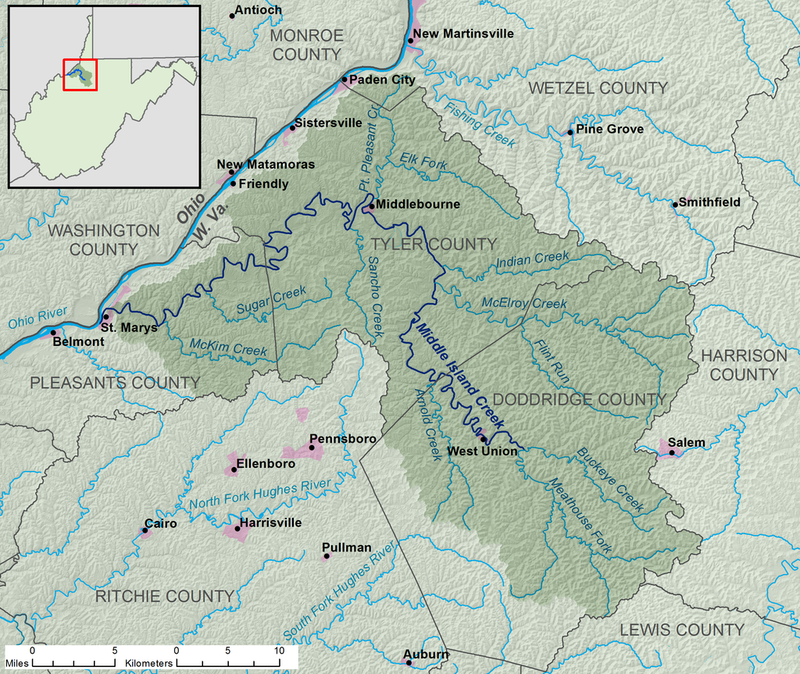 The SGG connected to the AGS in Harrison County and terminates in Braxton County, where it connects to the Columbia pipeline. It runs also through Doddridge and Lewis counties. It began operation in December, but in the process disrupted the lives of thousands of West Virginians, harassed opponents, and caused significant damage to farmland, streams and roadways. The West Virginia DEP did issue several Notice of Violations to Precision Pipeline, the company that built the pipeline. However, it did so only after numerous complaints from citizens. (Read more here). Despite this relentless assault upon public health, the environment and property rights by the unholy alliance between government and business – known otherwise as crony capitalism – no small number of people and groups have organized and coordinated efforts to safeguard their human rights. The outreach has even extended across the states bordering West Virginia, as alliances have been formed with people and groups in Virginia, Pennsylvania, Maryland, Ohio and Kentucky. As a result, I was fortunate to meet some incredible people giving completely of themselves and resources during the year. Following are a few examples. 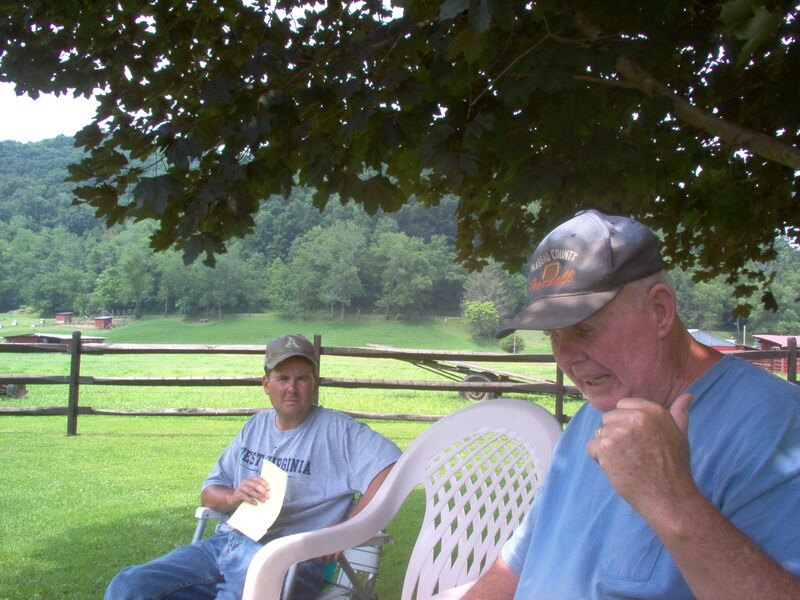 The McClain family, farmers in Doddridge County (about 8,000 residents), though quiet and deferential people, stood their ground against the industry for ruining some of their crops. (Read more here). Also in Doddridge County, residents joined with folks from neighboring counties to demonstrate their solidarity against the fracking industry. (Read more here). 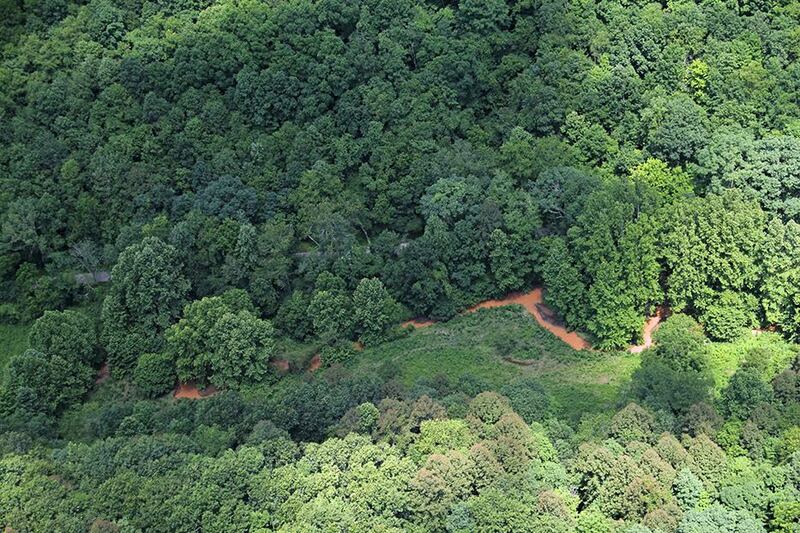 Earlier in the year, a landowner in the mountains of Randolph County was a one-man army fighting Dominion Resources. He is working to protect some of the most pristine mountain valleys in West Virginia. (Read more here). Also early in the year, several environmental groups challenged FERC to abide by its charter and deny approval of the pipelines because they would benefit private shareholders, not the people of West Virginia. (Read more here). In a proactive response to the industry, a Harrison County couple modeled, for the public, their homestead powered by solar panels. (Read more here). As the year came to a close, dozens of people and groups gathered in central West Virginia to learn more from each other and to coordinate efforts to oppose the fracking industry. (Read more here). The year concluded with the conviction of former Massey CEO Don Blankenship on charges brought by federal authorities because of the Upper Big Branch mine disaster that killed 29 coal miners in Raleigh County in April 2010. Sadly, the jury found Blankenship guilty on just one misdemeanor count brought against him – conspiring to willfully violate safety standards. The same jury found him not guilty of securities fraud and making false statements. His lawyers have said he will challenge the verdict. So, in light of the expected appeal and mixed verdict, it would seem the opportunity to send a message that crony capitalism would no longer be allowed to kill West Virginians was missed. Hence, it is an important chapter in this story of West Virginia’s reliance upon the fossil fuel mono-economy. Still, while it was covered by media from the United States and beyond, I consider it less important of a story than the stories above, in particular the response by average citizens to the assault they and their land face from the energy extraction industry. In this instance, it failed miserably. Meanwhile, in Clarksburg, which is at the epicenter of the fracking industry, the city’s only newspaper – The Exponent-Telegram – has an owner who also owns interests in oil, gas and coal companies. The newspaper, which touts itself as “The Independent Voice of North Central West Virginia,” had not disclosed this conflict of interest to the public, even as it served as a cheerleader for the energy extraction industry. (Read more here and here). The point is this: The Fourth Estate has become part of the establishment. Just as our three branches of government are intended to serve as a check and balance on the other two branches, so too, since the Revolutionary War era, has the press been counted upon to serve as a fourth check on the three branches of government. Now though, the courage required to honor that legacy is rarely found in a newsroom or TV studio. In short, the modern press, whether for-profit or not, will not challenge government, church and academia beyond the boundaries which might hit them in the pocketbook. Consequently, it does not report what we truly need to know. So, it’s up to the people. Last year left social justice and environmental activists exhausted, even burned out. Yet, the battle continues. While 2015 was not a good year for the people or environment of West Virginia, 2016 offers hope. It also offers great peril. The extraction industry has unlimited resources – cash, marketing departments and lawyers – that groups fighting for justice simply can’t match. The industry is working 24/7 to assault the people and natural beauty of West Virginia. So activists cannot rest. They are gearing up for a busy year, beginning with the legislative session that convenes next week. They have doggedly fought the industry hard in 2015. However, if they do not get additional manpower this year – an army of volunteers – 2017 will likely be too late to keep West Virginia from becoming an industrial waste zone that is unsuitable for any living thing. 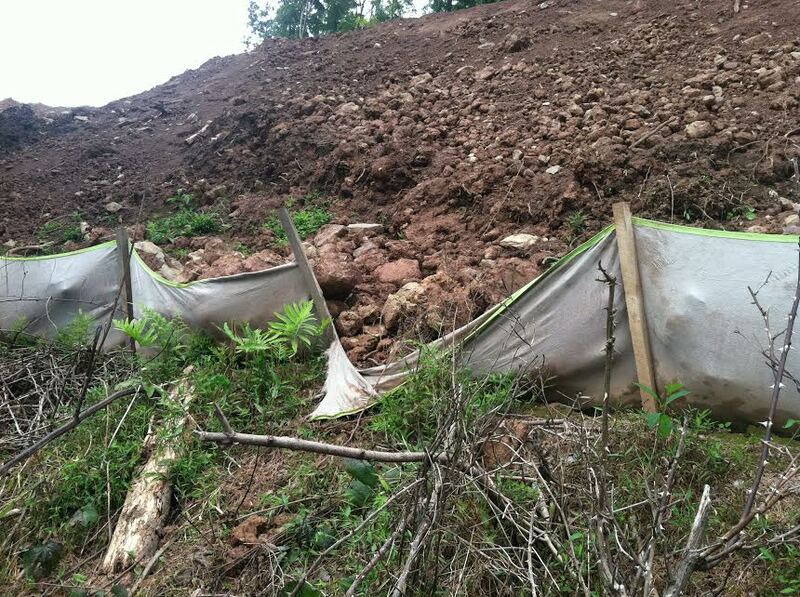 ALUM BRIDGE, W.Va. – The West Virginia Department of Environmental Protection (WVDEP) has issued at least 12 Notice of Violations to the contractors of the Stonewall Gas Gathering (SGG) pipeline since mid-June. The violations are for not following best practices and for causing conditions which pollute the state’s streams. The SGG is being built by Stonewall Gas Gathering, LLC, which was incorporated in Delaware on June 4, 2014. SGG is a subsidiary of Momentum (officially M3Midstream), based in Texas and Colorado. The Stonewall Gathering line is part of Momentum’s Appalachian Gathering System (AGS). The SGG will connect to the AGS in Harrison County and terminate in Braxton County, where it will connect to the Columbia pipeline. It runs also through Doddridge and Lewis counties. That’s what the company’s website says. The state of West Virginia, residents being impacted by it, and at least one independent environmental scientist say otherwise. 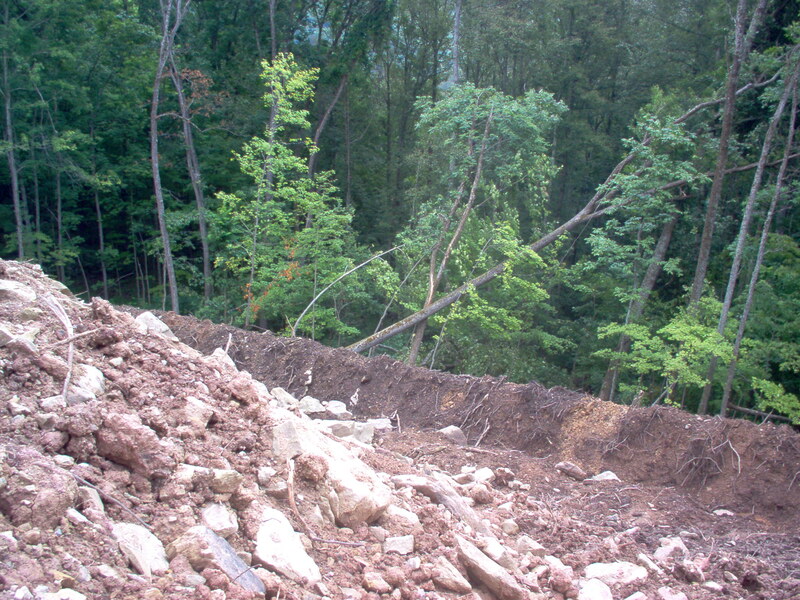 In mid-July, Jamie Tallman, an environmental inspector with WVDEP surveyed an approximately six mile stretch of the 55-mile pipeline and found that the construction had impacted at least eight stream crossings on Right Fork, Laurel Run, Indian Fork, Big Isaac Creek and Meathouse Fork in Doddridge and Harrison counties. As a result of those visits, he issued 10 Notice of Violations to SGG, though Precision Pipeline is doing the actual work. That brings to 12 the number of Notice of Violations for this project, the other two also issued by Tallman. One was issued in June for damage done near the community of Big Isaac in Doddridge County and another in early July near the same area. Read more: Standing Their Ground. One such person who accompanied Gooding on one of her trips along the pipeline route is Autumn Bryson, a Greenbrier County-based environmental scientist and owner of Autumn Environmental. On July 18th, along with several others, they visited numerous sites in Lewis, Harrison and Doddridge counties. From that visit, Bryson conducted a Sediment and Erosion Control Assessment. The Assessment was accompanied by numerous photos supporting her assertions. Berlin said the man refused to give him his name. 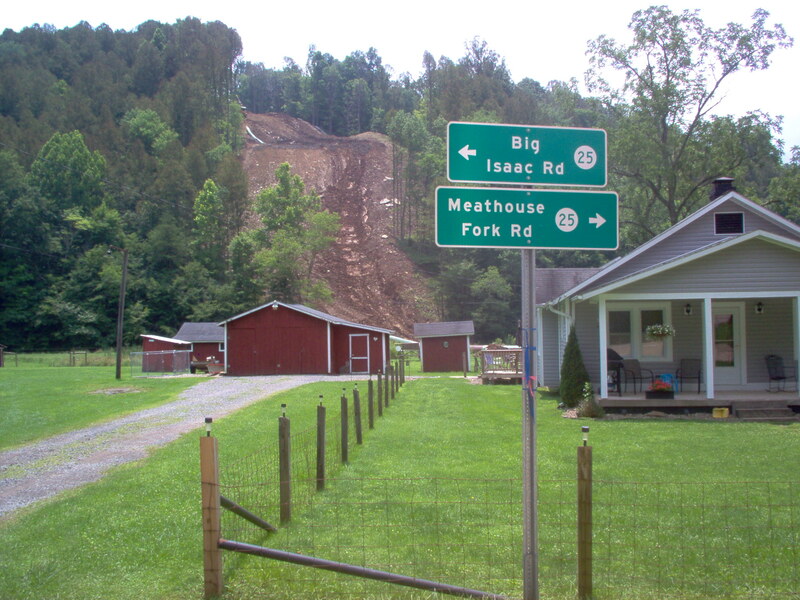 BIG ISAAC, W.Va. – Justin McClain is a farmer. At 35, it is all he has ever done in this small Doddridge County community since before he was a teenager. It is also all he plans to ever do. However, recent damage he says was caused to his crops by the company building the Stonewall Gas Gathering pipeline has him questioning if he will be able to keep his farm going. It also has him and his father, Robert, concerned about the farm’s future if the larger and longer Mountain Valley Pipeline is approved, and has left them both with a bitter taste about the industry as they have tried to get the companies building the 55-mile Stonewall Pipeline Project to compensate them for the loss of Justin’s spring hay crop. 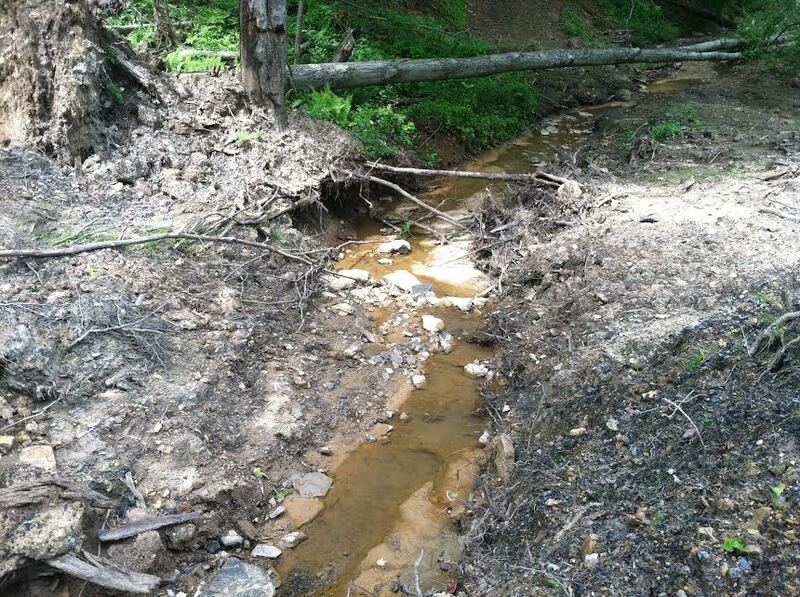 Meanwhile, Jamie Tallman, an environmental inspector with the West Virginia Department of Environmental Protection (WVDEP) has acknowledged he has inspected the damage done to the McClain’s crops and the area upstream where the pipeline construction is occurring. While Tallman said that no Notice of Violation (NOV) has yet been issued to the company building the pipeline – Stonewall Gas Gathering, LLC (SGG) – he added, “We’re still evaluating it.” (However, a NOV has been issued to SGG on the project. Details are below). He spoke with the McClains on July 7. If a NOV is to be issued, it would generally be done within about two business weeks of his investigation. Tallman emphasized, though, that the McClains were not the only people who had contacted WVDEP. “This particular complaint came from many different directions,” he said. The dispute between the McClains and SGG began after a heavy rain on the evening of June 20th. 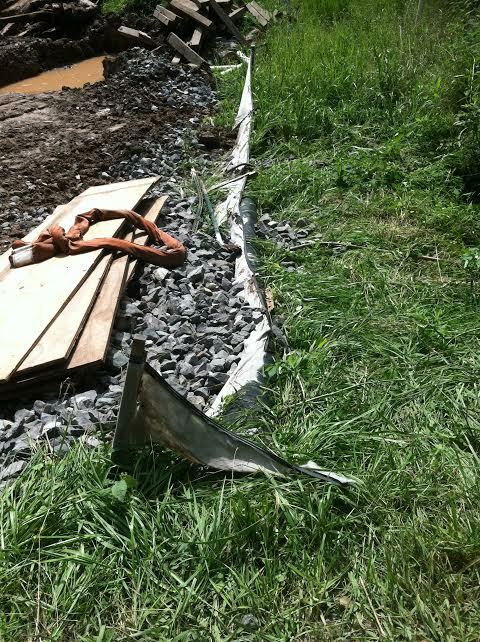 Just about 2,000 feet upstream from the McClain farm, Precision Pipeline, a subcontractor for SGG, was preparing to lay a 36” pipeline on a steep hillside directly above Meathouse Fork, near Isaac Creek. Meathouse Fork is a tributary of Middle Island Creek, the longest creek in the United States. It empties into the Ohio River near St. Mary’s, W.Va., after meandering for about 77 miles north and then southwest from Doddridge County. 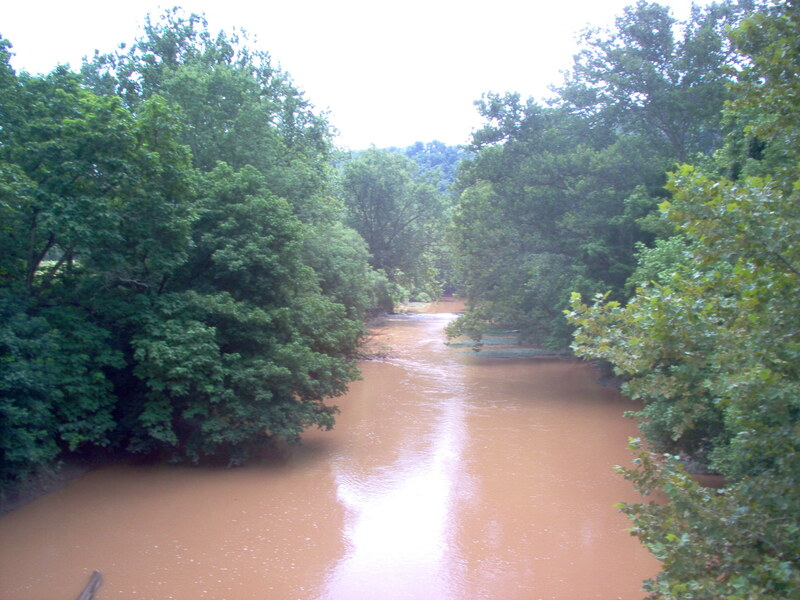 Meathouse Fork on June 22. Note the heavy sediment. The most recent exchange, after several visits over three weeks by various company officials, included two versions of the same Release and Waiver. The attorney in Charleston that the McClains contacted received a faxed version with a cover sheet without a letterhead. The attorney told the McClains they could sign it, as it was more to their liking than an earlier version because it was limited to the 2015 June hay crop. However, it also reads, “It is understood and agreed by the Owner (the McClains) and SGG that this settlement is a compromise of disputed claims, and payment by SGG is not an admission of liability, and that SGG expressly denies any liability.” The previous version required the McClains to abandon all rights to future claims, denied them the right to talk to any third parties about the matter, and threatened them with an injunction if they violated any of those stipulations. That is when the company presented the second document. However, while the attorney was receiving his copy, company representatives presented the McClains with a different version. Justin said, “They kept calling over here wanting to know if the attorney had seen it yet. Once we did get it, they sent someone over right away. But that was a different document than the one they sent the attorney. I asked them what they were trying to pull. The man told me it was a mistake, that he had grabbed the wrong document at the office.” It still contained the provisions that the McClains could make no future claims against the company, and required them to not talk to third parties. None of the three documents contained company letterhead. Yet, Justin concluded, “Dad has always told me, ‘Stand your ground.’ That’s what we’re going to do.” Robert simply nodded his head in agreement. Calls to several company officials were not returned. While the investigation by the WVDEP continues regarding the complaints about the event that impacted the McClain’s farm, SGG was issued a Notice of Violation by WVDEP on June 16th for violations about two miles north of that community. The streams impacted there are Buffalo Calf Fork and Buckeye Creek. 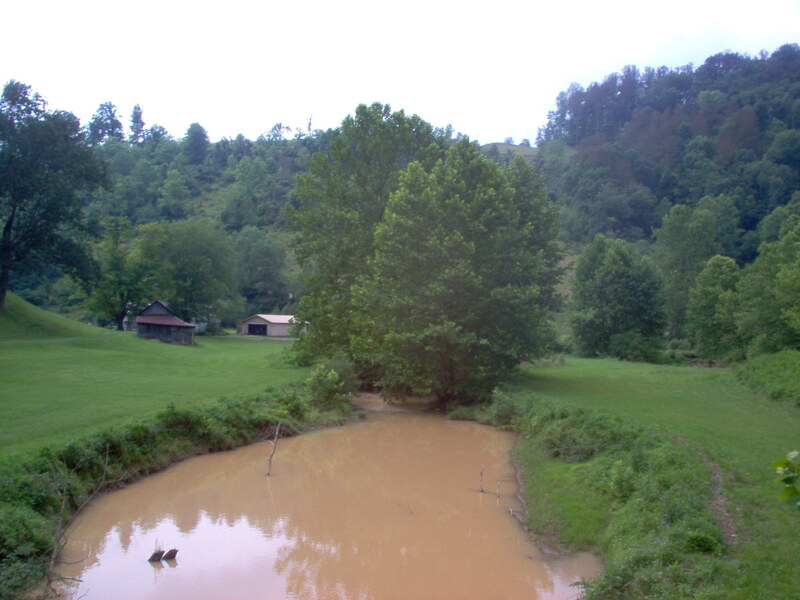 Buckeye Creek joins with Meathouse Fork to form Middle Island Creek, so both are tributaries of the nation’s longest creek, with a watershed of more than 550 square miles. 2. Entrance signs are to be posted at the project’s site entrance. 5. Ensure compliance with the project’s General Permit, Stormwater Pollution Prevention Plan, and Groundwater Protection Plan. The NOV number is W-NW-JGT-061615-001. Attempts to reach SGG officials for comment were unsuccessful. Stonewall Gas Gathering, LLC was incorporated in Delaware on June 4, 2014. According to a spokesperson with the Delaware Secretary of State’s office, principals of companies need not be listed. SGG is a subsidiary of Momentum (officially M3Midstream). Momentum is based in Texas and Colorado. The Stonewall Gathering line is part of Momentum’s Appalachian Gathering System (AGS). The Stonewall Gathering pipeline will connect to the AGS in Harrison County and terminate in Braxton County, where it will connect to the Columbia pipeline. The company laying the pipeline is Wisconsin-based Precision Pipeline, LLC. Calls to Precision regarding the McClain’s concerns were not returned, but according to the company’s website, “The required qualifications of today’s pipeline contractor are much different. Today’s contractor must not only be cost efficient, but must do so while making a significant priority of the project’s safety needs and the needs of the landowner and the environment. Because of these fundamental changes within the industry, contractors have changed the way they operate by re-training their management, estimators, superintendents, and general workforce. Over the past 20 years, existing contractors have been forced to make this transition to remain on the bid lists of their prospective clients. 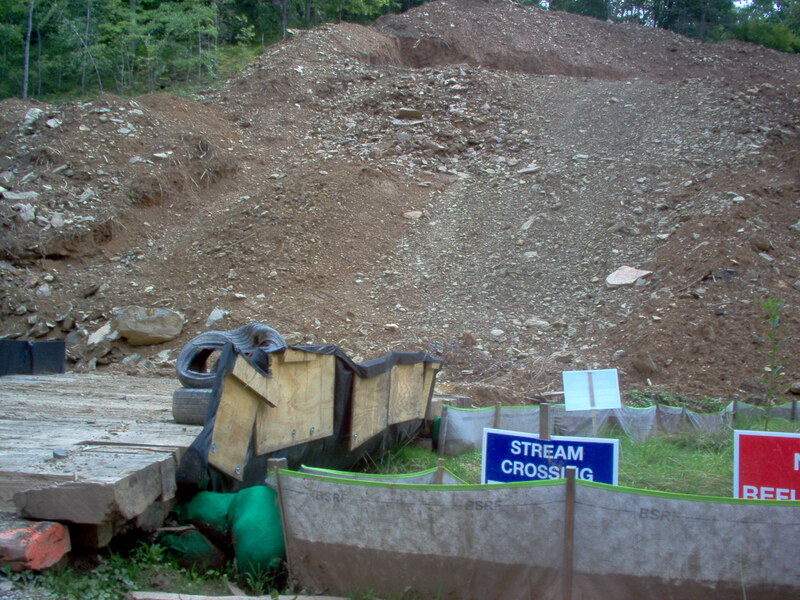 According to Gillenwater, WVDEP has oversight of the project because, “This would be a non-residential construction project that disturbs more than three acres, which requires a Construction Stormwater Permit and a Site Registration Application.” She noted that the application bundles the Stormwater Pollution Prevention Plan and Groundwater Protection Plan. The permit for the plan was issued on Jan. 29, 2015. 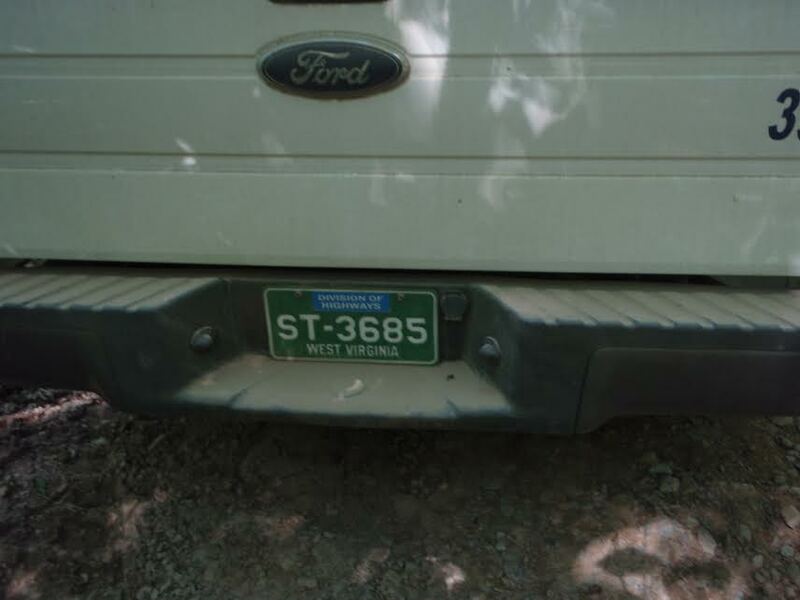 The permit number is WVR310402 under General Permit number WV0116815. Asked if notices were issued for public comment or if comments were made, she answered, “Site Registration Applications require public comment if they exceed 100 acres. As this project does, it should have gone to public comment.” She said that the legal add was advertised in the West Union Herald Record from Dec. 16, 2014 through Jan. 15, 2015. She said that no comments were received. Our research of the Stonewall Gas Gathering pipeline is ongoing. Check back for additional coverage.